WWRD - Buy Positive Property In NZ or Negative Property In Brisbane? 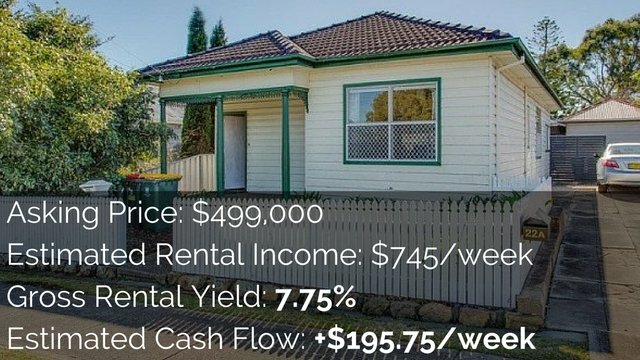 WWRD - Buy Positive Property In NZ or Negative Property In Brisbane? 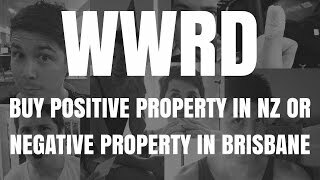 WWRD – Buy Positive Property In NZ or Negative Property In Brisbane? Would I buy a positively geared property in New Zealand or a negatively geared property in Brisbane that needed to be subdivided into 3 townhouses to be positive cash flow? WWRD? Hey and welcome to another episode of What Would Ryan Do, the series where you ask me questions and I give you my perspective and what I would do in this situation. This is not to be considered financial or mortgage advice, just so you know. It is just a little bit of fun. So the question today revolves around whether or not I would purchase positive property in New Zealand or negative property in Brisbane but there are some caveats to it. So let us go ahead and have a look at the question today. Would you buy a property in a smaller city in New Zealand with a 10% yield or a negatively geared property in Brisbane that needs to be subdivided into 3 townhouses to be positively geared? The answer to this one for me is very simple. I would actually probably purchase the one in New Zealand. Let me give my reasoning behind it, and I am not saying you should do this because it all depends on the person. Now, if I was to go ahead and purchase a property in Brisbane that needs to be subdivided into 3 townhouses, what I am guessing you are saying is that you are either buying a block of land or you are buying a house that you are going to demolish. You are then going to subdivide and build 3 townhouses. First of all, I have never done a subdivision. I have never done a demolishment. I have never got approved, I have never built 3 townhouses, and I have never even built a house or worked with a builder to build a house. So, all of that just sound too difficult. Would I purchase property in Brisbane that was positively geared or that I could turn into a positively geared property easier than that, yes I would. I do not understand the whole concept around your need to subdivide it into 3 townhouses in order to achieve your positive gearing. Whereas you are talking about a smaller city in New Zealand with a 10% yield, that is looking more attractive to me. Firstly, let me just say I would need to research the New Zealand market, which I have not done at all, not at all, I have not looked into that market. I do not know how it differs from Australia. I do not know what it is like at all. I am not sure what you mean by smaller city. I am guessing you do not mean Oakland or the large hubs – what is there? There is Oakland. There is Queenstown. There is Christchurch. There is one that my cousin lives in that I should know where it is, Wellington. Okay, I’m guessing you are not meaning one of them. You are kind of meaning a smaller regional center. I recently went to New Zealand and I absolutely love the place. And so if I have an excuse to go to New Zealand to research the property market over there and to look into that and purchase it, would I consider it? Absolutely! 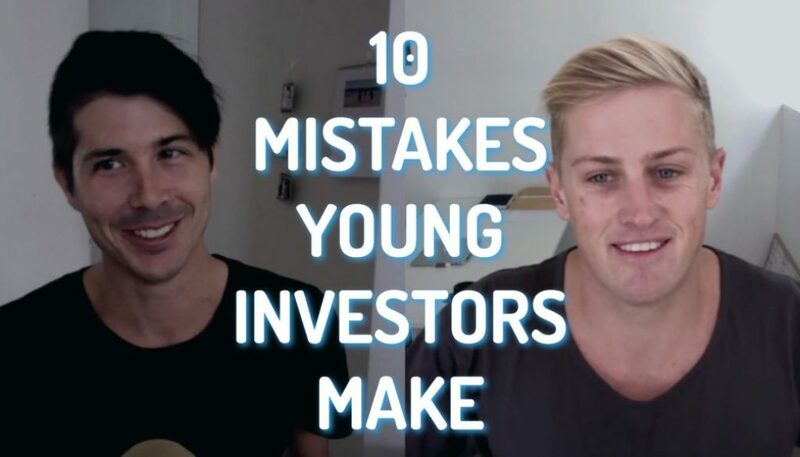 You also need to take into account when investing in New Zealand, things to do with currency. Or if I am going to be living in Australia, how is the New Zealand currency going to change, how is the Australian currency going to change? Because if I invest in New Zealand and the New Zealand dollar outperforms the Australian dollar, then that is great. I am making money on currency. But my property could do really well but the New Zealand currency is dropping below the Australian currency and then my property is becoming less and less in terms of Australian dollars. So that is also something that you need to take into account. But I do like the idea of having like a global asset based on diversifying things, having some in New Zealand. So if we do have a property bubble or do have a crash in Australia that some people are talking about, then you are diversified and you have something in other countries. Again with New Zealand, I do not know how you get approved for finance and all that sort of stuff so it will be a big jump to do that. But I am not a fan of negatively geared properties. I have never been and I am not a fan at this point and even more so now because of how well the Australian market has done. Because of the potential for a bubble to burst, I would like to be in a situation where I was positive cash flow from day 1 that if the property does go through some hard times at least I am getting that positive cash flow. So for me, positive cash flow is a big thing. For you, it may be something different but look, I would love to invest in New Zealand. I love the place. I am actually thinking about maybe taking time – sometime soon, to actually move to New Zealand for a couple of months or something like that. That could be really cool; take my family over there, do some travel while I work because I work online, so I could do that. So yeah, for me it is New Zealand and I just want to say a big thank you to David for asking this question. So thank you, David, for asking this question; I hope that my answer has helped even though it might not be what you want to hear. I would prefer the one in New Zealand, or I would be looking in good suburbs within Brisbane where I can more easily generate a positive cash flow. I do not want to go and have to go through all the difficulty of subdividing and creating townhouses when I am not a hundred person sure about the supply and demand in Brisbane because I know in terms of units there seems to be an oversupply of units in the area or from what people say, there will be in the future. So, I need to work out if does that extend to townhouses as well because maybe my numbers are not right and I subdivide and I build townhouses and it is not going to be positive cash flow anyway. So it sounds like a lot of work just to achieve positive cash flow, if you are doing it for capital gains benefits, then that is a different story. 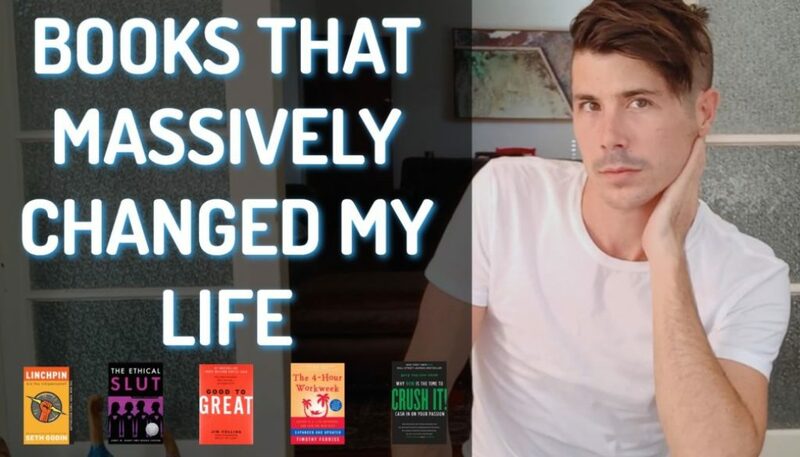 But if you are just subdividing and developing townhouses to get positive cash flow, I actually there are easier ways to achieve that cash flow. So for you, David and anyone else out there listening, assess your goals. 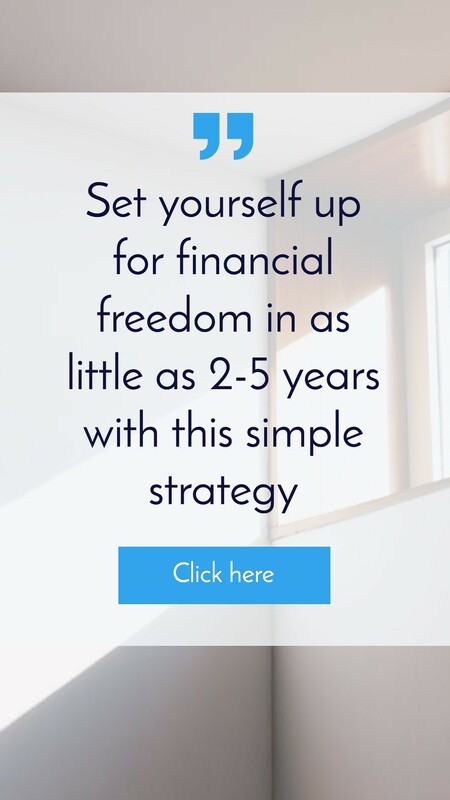 Assess what you are trying to achieve in terms of financial freedom or the equity you want to have or the money you want to have in the bank. Try and work out which strategy is going to get me there. And rather than asking a question like this, would you do A or B, in your own head – I am not doing that asking me now, but in your own head, rather than saying should I invest in this one or this one; say,”’Okay, here is my goal. What is the best way to get there,” and try and explore a whole myriad of options. 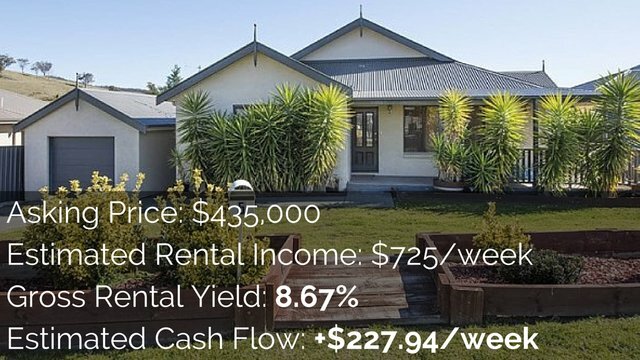 Do not limit yourself to just 2 options because it could be the case that this property in New Zealand is bad and the property in Brisbane is bad as well. And so you need third options. You need fourth options. So, assess your goals. Assess what you want to do, what you want to achieve and then go from there and say, “Okay, what is the best way to get me there?” Rather than saying, “I have property 1 or 2, what should I buy,” expand your horizons. I have a goal I want to achieve, how do I get there? So, I hope this has been helpful. 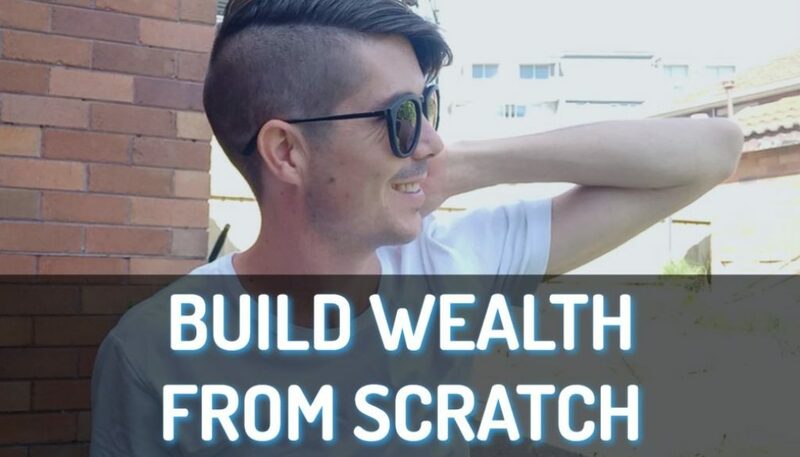 I hope you enjoyed this episode of What Would Ryan Do, talking about whether we buy a positive cash flow property in New Zealand or negative property in Brisbane. So that is it for me today guys. Until next time, stay positive!